What a shame the crochet cover didn't work!!! It sure did look pretty!!! Amazing what little things like that can add up to, isn't it!!!!! Have a fab day!!! Aww, what a shame. It is horrible when your genius idea and hard crafting goes rather spectacularly wonky. I suffer this indignity often. It is heartening to read a blog post which admits to the odd fail too. Your story gave me a good laugh. I think we have all had a "good idea" blow up in our faces at least once in our lives. Thanks for sharing your experience! After I got through laughing I realized how much I loved your thinking. A true crafter you knew there was a simple solution. Even though that didn't work out, what about a sewn pouch? I probably wouldn't stretch. 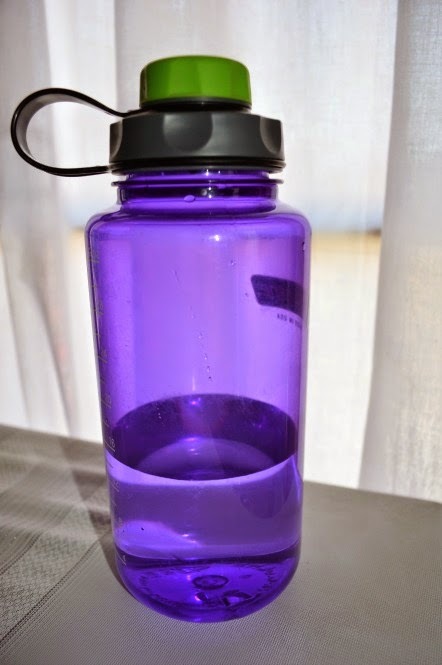 Have you tried Contigo? You can even use the ones meant for coffee,they are stainless steel and really hold the cold as well as hot and they don't sweat. Oh and you may know me by my other name Sockmad. Your story made my smile! I was wondering if using some finger loops in the pattern might remedy that issue...you could hide them with the tie loops so no one would think or notice it...just a suggestion. 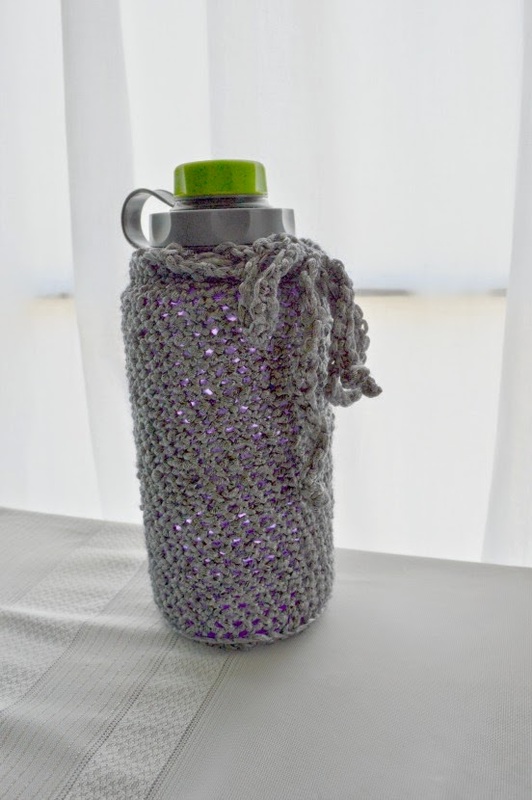 it could be use just to hide your bottles and make them look pretty when not in use.